Homeopathic Materia Medica is very rich and contains the details of much more than a thousand remedies. We have selected some more commonly used medicines from Materia Medica by William Boericke which are listed here. Information on some medicines has also been supplemented from “A Dictionary Of Practical Materia Medica” By John Henry Clarke” to provide more information to the readers. Reading through these medicines would indicate the versatility of the system and a very wide range of symptoms they cover. Please note that in any given case, it is not necessary that every symptom mentioned under a particular medicine must be present in an individual for the medicine to be suitable for him. 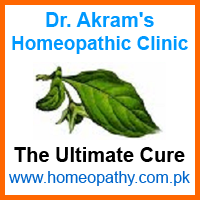 Homeopathic medicines are not chosen by the name of the disease. It is done according to a procedure keeping several factors in mind. This is why it is always advisable to consult a qualified homeopathic doctor before using any homeopathic medicine.